Angie Lisle: Look what I got! I took these pics at different angles. 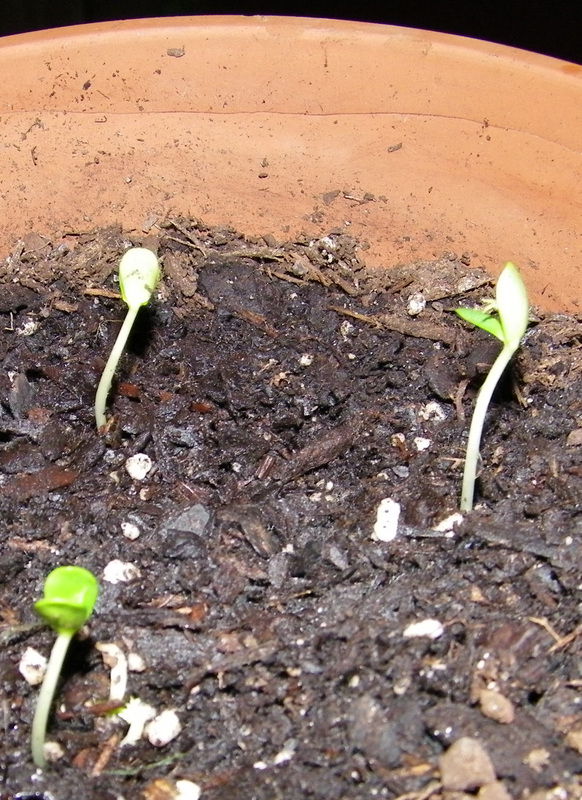 The seedling in the front left corner of the AM photo is the seedling on the right in the PM photo. 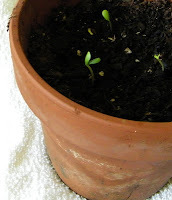 Those are the apple sprouts from the Fuji Apples that I mentioned in My Garden: Spring 2012. I covered the tops with an inch of dirt when I planted them.